Let’s play a game! First, we’ll divide the players into two teams. The first team includes fluffy kittens, nuns and orphans, baby ducks, and Delta blues guitarists. The second team includes patent trolls, the Ebola virus, personal-liability lawyers, and Brussels sprouts. Which team does your local electric utility company belong on? Most people do not harbor tender feelings toward their power company. It’s a utility, a monopoly, and generally faceless and unfriendly. (These characteristics may not be wholly unrelated.) To paraphrase John Steinbeck, power companies rank a little below clowns and a little above trained seals in most folks’ general estimation. But utility companies need love, too. They evidently aren’t wringing enough profit from all of us ratepayers and – poor babies! – must now look elsewhere for growth. My heart bleeds for them. So it was a complete surprise to talk to SparkCognition, a company that applies artificial intelligence to the electrical grid. They’re actually nice people. The Electric Company hasn’t been this charming since it went off the air in 1977. Partly that’s because SparkCognition isn’t an electric company. It’s an Austin-based AI software company that helps electric utilities and other big organizations use their collected data more effectively for the good of all citizens. The problem, according to Jessica Hamm, SparkCognition’s Director of Utilities Solutions, is that our overall power consumption isn’t increasing. Despite all the new computers, iDevices, game consoles, and voice-activated gizmos we’re buying, plugging in, and constantly recharging, we’re not actually using much more electrical energy than before. Blame efficiency. And those homeowners who install solar panels and LED lights. From an electric utility company’s point of view, the market is flat. It’s also heavily regulated, so power companies can’t arbitrarily jack up prices on their goods and services (outward appearances to the contrary), like normal free-market companies can. Instead, they have to improve profit margins through increased efficiency. If you can’t raise revenues, lower expenses. That’s where the AI comes in. SparkCognition specializes in applying AI techniques to electrical grids, gas and oil refining, aerospace, power generation, defense contractors, and actual defense – you know, armies. The common factor here is that all these organizations manage acres of big, heavy, expensive equipment. Repairs are costly, and failures can be disastrous. Being smarter about managing all that hardware can improve reliability and lower costs. Like Slayer, it’s intelligent heavy metal. Predictive maintenance is one way that SparkCognition applies its AI expertise. Power companies collect a ton of data about their equipment and how it’s used. In fact, electrical utilities were among the earliest adopters of IoT-like data acquisition, says Hamm. The company’s SparkPredict software can plow through that data looking for telltale signs of impending mechanical failure, or more subtly, for bottlenecks in distribution, maintenance schedules, or work crews’ job completion. Work smarter, not harder, in other words. In the future, SparkCognition sees this technology migrating downwards into smaller, less-expensive equipment and spreading out into other industries. Big utility companies can also mine their data looking for new business opportunities, even at the retail consumer level. Your power company already knows how much electricity you use (that’s what the meter is for). Combining that with real-time usage data, a smart thermostat, and perhaps a sensor or two, it could predict an imminent failure of your furnace or air conditioner, send you a heads-up that it’s time to shop for a replacement, and even offer a rebate or incentive. Most power companies aren’t investing in new generating plants (partly because it’s a tough sell, politically), so they’re investing in upgraded infrastructure instead. That means a smarter grid with smarter poles and smarter devices on top. Most of today’s electrical transformers, for example, don’t talk to anything despite the fact that they’re obviously connected to everything. Maintaining a city-wide electrical grid is no picnic, and AI can help there, says Hamm. When a power line goes down, the utility company generally has only a vague notion of where the break occurred. That means rolling a truck and driving around town looking out the window. Better monitoring could pinpoint the location of the outage, resulting in faster repairs, less downtime, and happier customers. Think of it as time-domain reflectometry for Ethernet cables, but way bigger. There may be some overlap with “smart city” technology, too. As municipalities experiment with interconnected streetlights, traffic monitoring, parking sensors, cameras, and other devices sitting atop utility poles, they find themselves accumulating a lot of data they aren’t always prepared to handle. AI to the rescue. Traffic signals could be designed to synchronize with public-transit routes, but maybe only during (or outside of) commute hours. Parking apps could tap into real-time availability of spaces. Driving apps like Waze could reroute based on road work, traffic, civil unrest, or other conditions. It starts to get more interesting (or creepy) the more data you integrate. Those utility poles are turning out to be valuable and contentious pieces of real estate. Everyone wants to mount their Wi-Fi access points, cameras, traffic sensors, transformers, streetlights, and other data-acquisition or -distribution devices on them, yet the cities themselves often don’t own the poles. Depending on the town, the utility poles (don’t call them “telephone poles”) may belong to the local electrical generator, the grid operator, the county government, or yet another party. Doling out access to the poles is a big deal, with a lot of business(es) on the line, as it were. A hundred years ago, railroads were in decline as more freight was shipped by road. Trucks were overtaking trains. But one thing all railroads have in common is an unbroken ribbon of land about 50 feet wide and thousands of miles long where they lay their tracks. Turns out, that narrow strip of gravel is their most valuable asset, as first telegraph companies, and later telephone and internet companies, rented that right-of-way to plant poles and string cables. Today, the Southern Pacific Railroad Internal Network Telecommunications – abbreviated Sprint – is a $25 billion corporation, almost as big as AMD. What happens when up-to-the-minute AI technology meets the stodgy, entrenched utility industry? Just about anything, says Hamm. 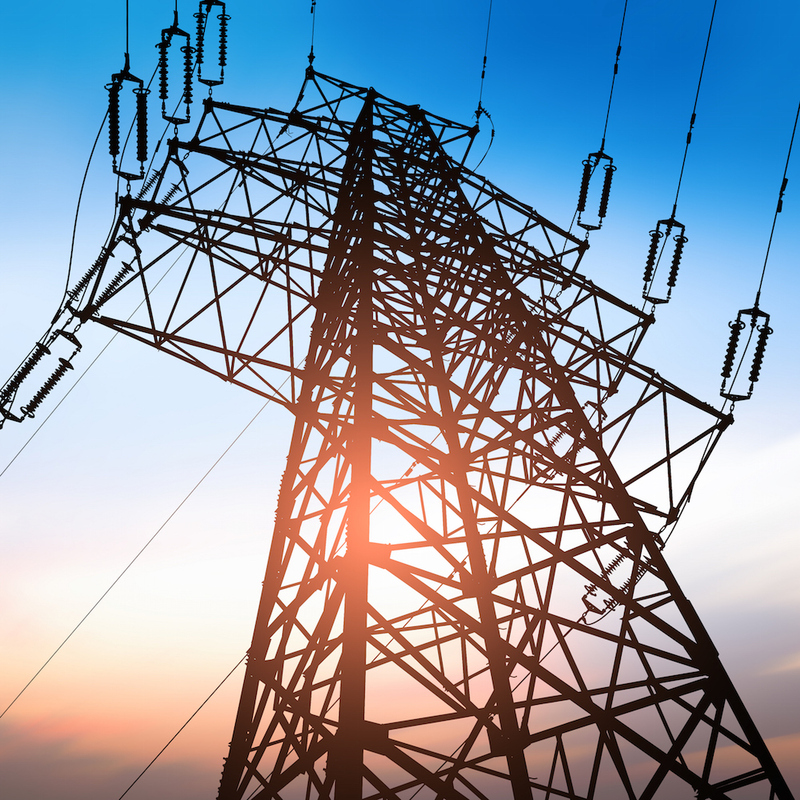 Utilities are risk-averse and notoriously slow at decision-making. Meeting notes are kept on stone tablets. The challenge for SparkCognition is to reassure their customers, not dazzle them with technology. Where AI can improve reliability, safety, or affordability, they’ve got a chance. Not everyone is sold on “this whole cloud thing,” for example, so SparkCognition offers both cloud-based and on-premises alternatives for its software. Applying AI to your A/C may seem counterintuitive, but if it helps power companies be more responsive and more efficient, I guess I can begrudge them a little extra profit, too.